Infused water seems to be the thing right now. I finally decided to give it a try and it was pretty good. I always drink mostly water (and coffee! okay, and sometimes beer) so this is a fun way to freshen up my water! I added some water, ice, strawberries and cucumber and put it in the fridge for a while. Mason jar optional. It was nice and refreshing. It’s a perfect summer drink and it looks fun too. I have also tried raspberries, watermelon, blueberries, oranges, lemons and limes. Just have fun with it and try different things and different combinations. 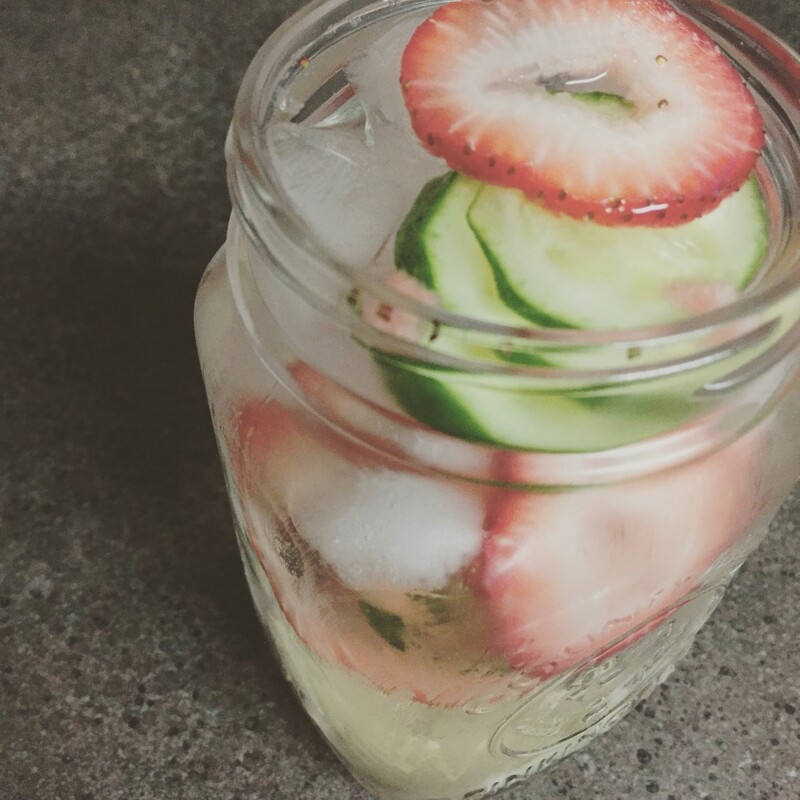 Infused water is so much better for you then pop or juice. You get the benefit of drinking water with a little bit of added fruit and zero calories (or really close to it.) Perfect drink for breastfeeding moms everyone! This entry was posted in mom health and tagged mom health on July 6, 2015 by Courtnie.